A celebration of our cultural leaders - the people who make New Orleans such a wonderful place to live. Our 2017 royalty will be Chef Leah Chase and Chef John Folse. Our 2016 royalty was Chef Sue Zemanick of Gautreau's. Our Duchess was JoAnn Clevenger of Upperline. Our 2015 king was Chef Michael Regua of Antoine's. Our Duke was Sterling Constant, in his 47th year at Antoine's, and probably the longest-serving waiter in New Orleans. Our 2014 king was Chef Alon Shaya of Domenica Restaurant. Our 2013 king was Chef Tenney Flynn of GW Fins, and our Duchess was pastry chef Megan Forman of Gracious Bakery. 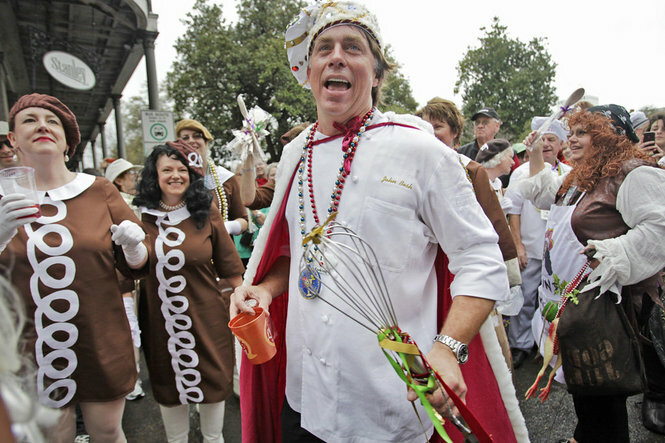 Our 2012 royalty were Chef Susan Spicer of Bayona and Chef John Besh of the John Besh Group. 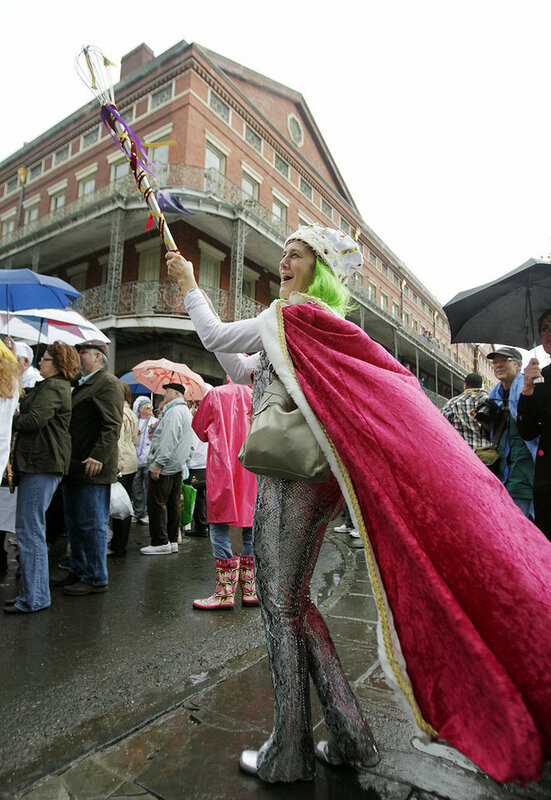 Mardi Gras is traditionally the pagan feast prior to the Christian Lenten Fast. The pagan part is already well covered by others. We choose to focus on celebrating our local culture, and in particular, our culinary leaders.